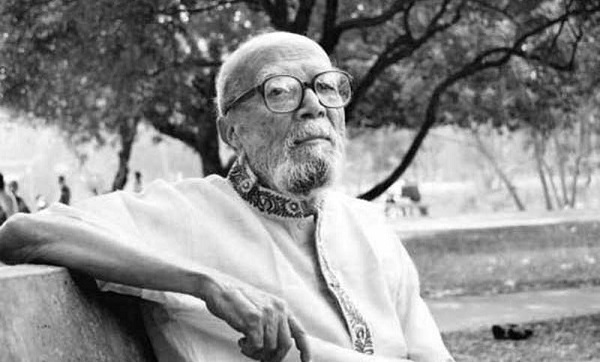 Prominent poet Al Mahmud, who passed away at a city hospital on February 15, was laid to eternal rest on Sunday afternoon. He was buried at his family graveyard in Mourail of Brahmanbaria after Asr prayers following third namaj-e-janaza held on Niaz Muhammad High School Ground. After Janaza, people form all walks of life placed their tribute to the poet. Earlier, Poet Al Mahmud's body arrived back in his village home in Brahmanbaria by an ambulance, at the night of Saturday (Feb 16). People from all walks of life paid their last tributes to the poet on the Bangla Academy premises from 11:45am on Saturday. Later, his two namaz-e-janazas were held at Baitul Mukarram National Mosque and Jatiya Press Club in Dhaka. Al Mahmud, 82, died at Ibn Sina Hospital in Dhaka’s Dhanmondi on February 15. He was suffering from pneumonia and various old-age complications. AL Mahmud started his career as a journalist. He obtained widespread recognition after Lok Lokantor was published in 1963.